When my dear friend Bethany (who I lived with for 3 of my 4 undergraduate years at Loyola New Orleans) called to ask me (and my roommate) to be in her wedding, I was so excited. 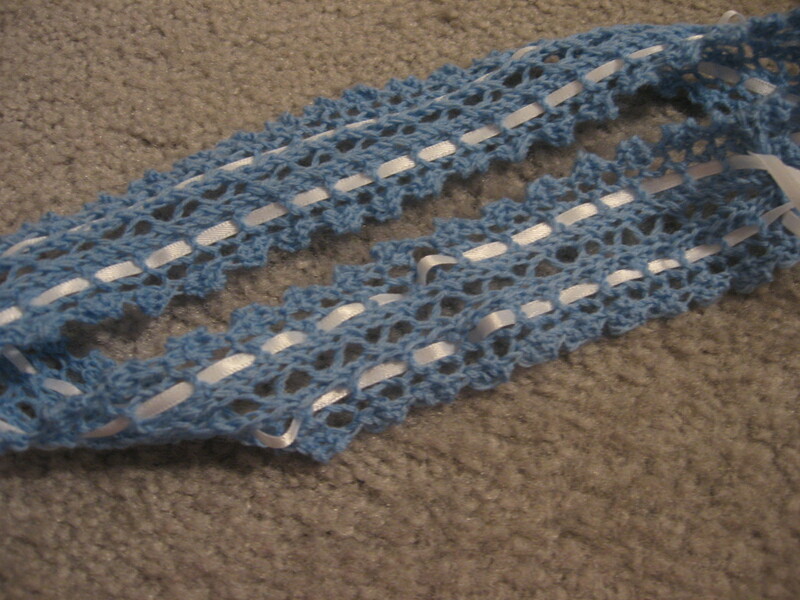 Not only that she would choose to include me in one of the most special days of her life, but that I could knit her this garter! The pattern itself was pretty intense. I had to pay such close attention the entire time I was knitting it. When I’d go to put it down, I would have to shrug my shoulders to get the tension out. All in all, this garter was a huge success. Bethany loved it, and she showed it to everyone in the wedding party, and always made a point of mentioning that I had made it. 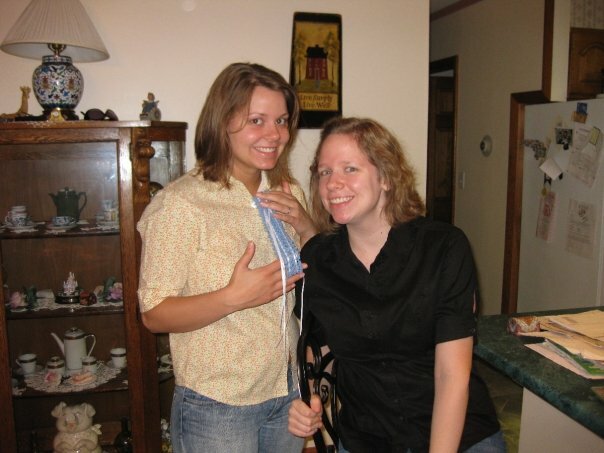 That’s Bethany and I, showing off the garter. (This was the morning of the wedding. We hadn’t left to get our hair done yet.) Bethany decided not to wear the garter during the ceremony, because her dress was insane and hot, so when it was time for the garter throw/bouquet toss at the reception, she went into the bathroom to put the garter on so that Jordan (the groom) could take it off. 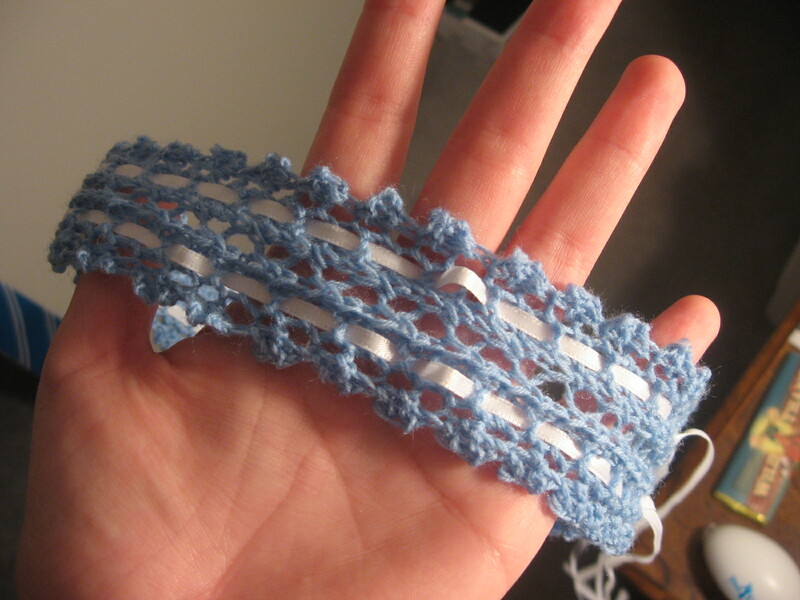 I made Jordan promise to be kind to the handknit garter. He said that the only way he’d do that was if I promised to knit him a sweater. He made me pinky swear on it. I feel incredibly honored to have been asked to share in such a special day. 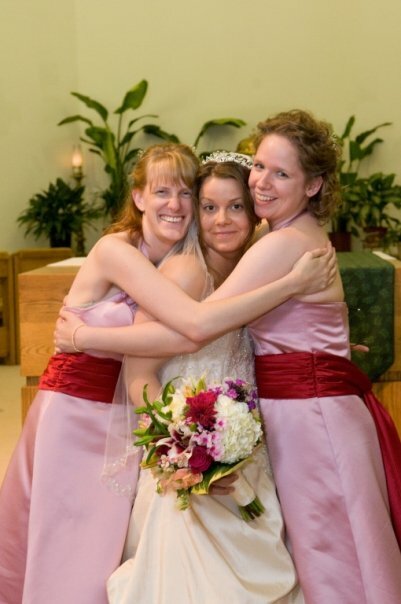 Here’s a picture of Jessica (my roommate), Bethany, and I, after the ceremony. I hope Bethany keeps the garter forever. If not as a reminder of me personally, a reminder of how special her wedding day was.